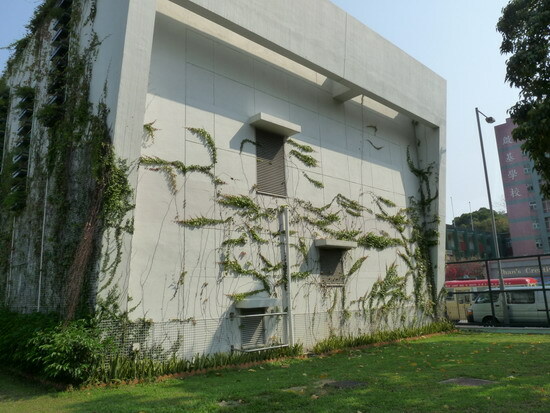 There is a newly constructed Tai Hang Tung storage tank (for flood water) at Tai Hang Tung Recreation Ground near Boundary Street. 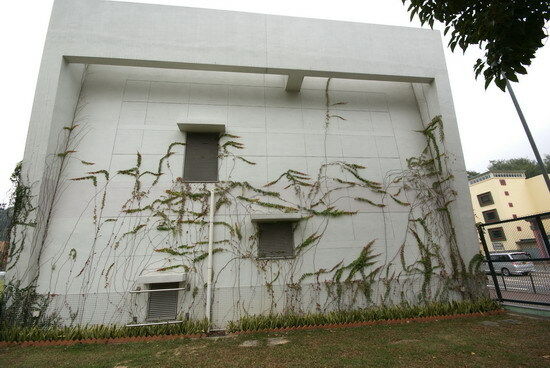 The façade of this white building is decorated with climbing plants. In some years, it will be completely clothed with a green jacket. 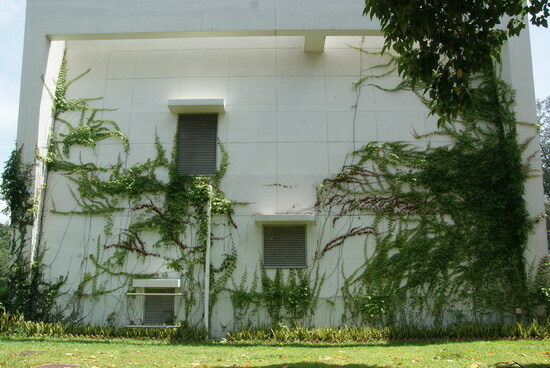 The climbing plants are mainly Diverse-leaved creeper (Parthenocissus dalzielii) with petty Creeping fig (Ficus pumila) at the bottom left corner. 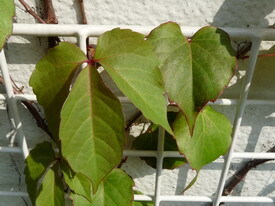 As its name suggests, the leaf shape of Diverse-leaved creeper is changeful. 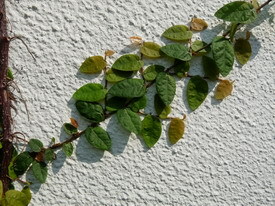 Some are trifoliate compound leaves; some are multi-lobed single leaves. 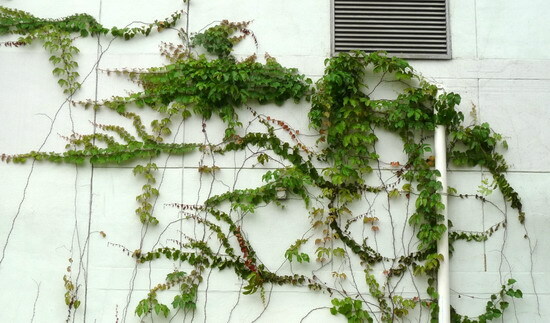 They also turn red when autumn arrives and it’s not bad at all to have a new seasonal look. 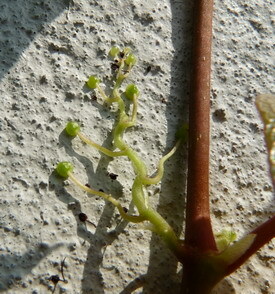 I will take pictures once every few months as a record of its "transformation". 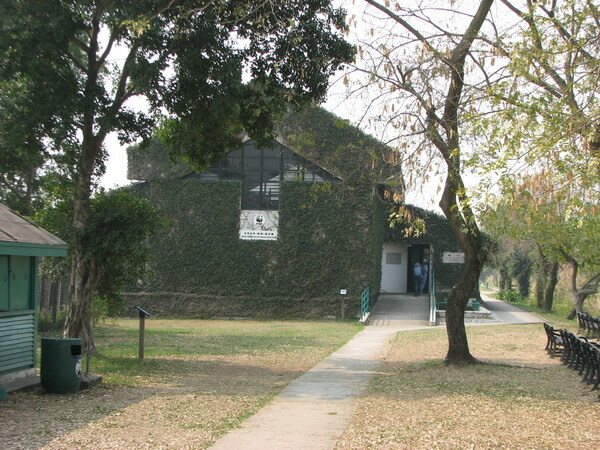 Before any changes take place, can you imagine how it will look in future? 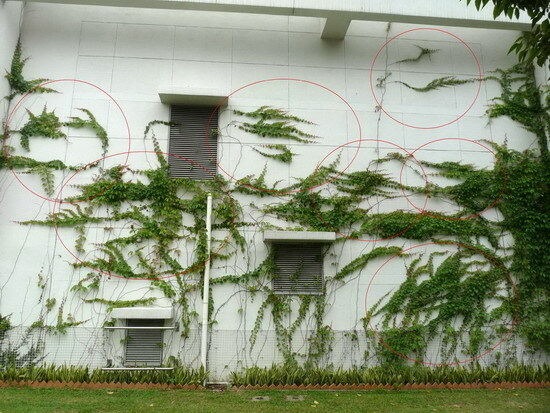 A number of dragons are harbored on the wall. How many do you find? 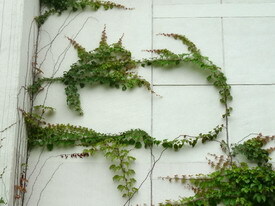 Wonders of nature are always unpredictable. 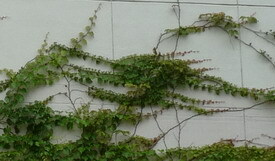 Let us stand in front of the wall and find them out one by one, outline their shapes, and give them a name. 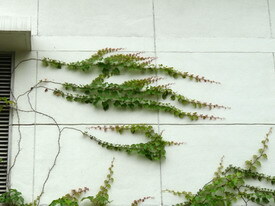 If you have a camera with you, then take a picture, write a few words and email to your friends. This kind of experience and the sharing with friends are real fun. 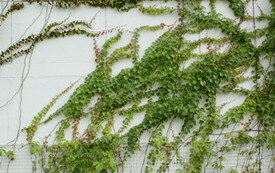 Creeping fig (Ficus pumila) is another commonly used evergreen jacket for walls. 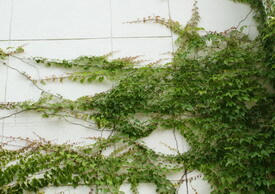 It has a major drawback that its heavy piles of fruit will be hung beyond the walls and even may pull down the whole plant. Because of the time restraint, I find a “transformed” specimen to show you. 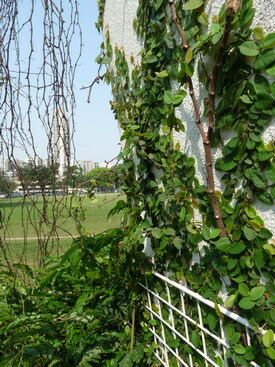 Here is a building completely covered with Creeping fig in the Mai Po Nature Reserve.